The senior years at high school are some of the best years at school. You’ve found your feet in the school yard. You’ve made friends that will last a lifetime. You’ve earned the respect of your teachers and peers for reaching your senior years. And best of all, you get to finally attend the school ball. The prep mode is all part of the fun and this begins months before the event takes place. As parents are inundated with requests about hair, makeup, dresses and shoes, transport to and from the venue might seem low on the list of priorities. It pays to think about this early to avoid being in a scramble on the night and finding yourself doing multiple trips from the pre-ball party to the ball just to get everyone there! The easiest and most sensible mode of transport is a Party Bus bus or coach. Not only does it ensure everyone gets to the ball safely, but chaperones can slink off into the background while still overseeing the commotion that comes with being among a group of excited teens. Since school balls began, they have been the event of the year. When we embrace the glitz and glamour of this lavish occasion, the experience is one we will remember forever. The pressure of the ball season is bigger than ever before. These days, a quick google of “red carpet outfits” is all the inspiration you need to find the ball gown of your dreams. Replicating these celebrity-worthy dresses is enough to send every parent’s head into a spin. So finding ways to be practical in other areas is vital if you want to stay on top of things. As teens are busy putting their outfits together, parents are trying to think of the practical side of things – particularly how much it’s all going to cost. Our standard buses and double-decker buses are great options for keeping costs to a minimum. These buses suit larger groups who want to stick together from the beginning of the night – right through to the end. 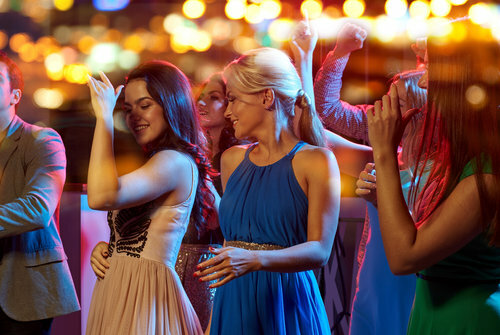 Hiring a Party Bus is a practical option for many reasons. Not only does it take the responsibility off parents to get everyone to the ball, it’s affordable as well. Prices start from as little as $495 which comes to a very small price-per-head of $10 for large groups of ball-goers. With a loud sound system, comfortable seats and great vibes, hiring a Party Bus will ensure everyone arrives on time and in a great mood! Believe it or not, the cost does not change dramatically if you want to take things to the next level and hire one of our luxury vehicles. These buses are party venues in themselves while being an easy and very stylish mode of transport. If you’ve thought about hosting a pre-ball event for your teen and their friends, consider doing it aboard one of our luxury vehicles. Being responsible for that many teenagers is no easy feat and cleaning up after them is something none of us want to do. We have four luxury vehicles in our Party Bus fleet and each offer a unique and glamourous venue for ball-goers to enjoy before and after the event. – Premium – with plenty of space to dance, party lighting and an amazing sound system, the Premium Party Bus is perfect for groups of up to 41. – The Rock – not only does The Rock Party Bus have plenty of dance space, it comes with your own personal DJ! Equipped with party lights and an awesome sound system, the 41-seater will have everyone in great spirits by the time they arrive at the ball. – Ultimate – when we say ‘ultimate’, we mean ultimate as it’s our largest party limo coach. This bus has a spacious dance floor, laser party lighting, a DJ and toilet facilities – no need for pit stops! – Viper – our most luxurious of all is the Viper limo coach. Perfect for the groups who want a comfortable mix of lounge seating and dance floor area. At full capacity of 30, the price-per-head for this glamourous coach is only $25. Knowing the answer to this question before it becomes an issue is important, especially where safety is concerned. Joining forces with other parents and arranging the best mode of transport to and from the ball will give you all a sense of ease and your ball-goers will still have their sense of freedom. Party Buses are large enough to hold up to 75 people so there is plenty of room for everyone on board. And the more there are, the lower the price-per-head. 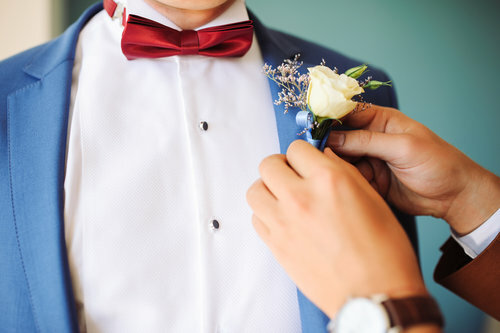 For both boys and girls, there is a fair amount of planning involved and although we can’t tell them who to go with or what to wear, we can be sure that hiring a Party Bus for the event is the best way to get from A to B and back to A in safety and style. With so many options on our fleet ranging from standard to luxury, there’s something to suit everyone so don’t miss out! Give Party Bus a call today and book for perfect ball transportation.